The average price for this game in the past 6 months is $6.52. The game first became 50% off on Nov 14, 2016 at Walmart. Lowest historic price was $5.77 on Nov 26, 2018 at Walmart. Walmart has Titanfall 2 for only $5.77. Trust us when we say this game is worth the drive to pick-up if you have a Walmart nearby. Perfect add-on item if you need the extra amount to get to the $35 free shipping threshold as well. Similar deal at Best Buy for $5.99 on the digital copy edition but we think you should go with physical so you can offload it to GameStop one day for 50 cents. New low on Titanfall 2 on PS4 and Xbox One via "gamercandy" eBay's page. A price drop to $7.32 with free shipping, which is the lowest price to date. If you have PS Plus, you owe it to yourself to pick up Titanfall 2 at its historic low price of only $12. (Non PS+ members pays $15). This game is well worth the ticket at $20, let alone $12. Titanfall 2 ties its historic low today at GameStop with a drop to $20. Discount good for the PS4 and Xbox One versions. Normally a $40 purchase. Titanfall 2 on the PS4 and Xbox One slashed to $25 at Best Buy. This is a today only hot discount. Going with the deluxe edition is $35. The average price for this game in the past 6 months is $4.78. The game first became 50% off on Nov 14, 2016 at Walmart. Lowest historic price was $1.99 on Mar 26, 2019 at eBay. Missed out on Titanfall 2 on the cheap last 2 month ago? Here's your second chance at 75% off. Just like the PS4 copy, the Xbox One copy of Titanfall 2 is now only $5.77. If you have never tried this excellent title yet - we strongly suggest you to pick up the game at this price. In the era of DLC, micro-transaction, season pass galore - Titanfall 2 is a great example of a well crafted online title with continuous improvement and a respect for its player base. When it's on sale, it's an easy front page recommendation. If you haven't played Titanfall 2, you might as well take advantage of this deal plus you'll get Nitro Scorch DLC. New historic low price. Missed the pre-Black Friday deal at Walmart for Titanfall 2? You get a second chance this week with Xbox Store's Black Friday sale. Deal ends Nov 28, Xbox Live Gold required for early access deal. PS4 deal on Titanfall 2 is now dead.. but in comes the Xbox One receiving the same discount love. Missed the $35 deal at Target? No worries, its Black Friday season and Walmart will shower you with 50% off discount on just released Triple-A. The average price for this game in the past 6 months is $4.50. The game first became 50% off on Jan 22, 2018 at Microsoft. Lowest historic price was $4.50 on Feb 7, 2019 at Microsoft. Titanfall 2 hits lowest ever price of only $6 for its Ultimate Edition. In the sea of new titles, we actually think this is a great pick-up for Xbox gamers if you've somehow never tried Titanfall 2. In our opinion, decisively one of the best multiplayer FPS gaming experience in the past few years. New low on Titanfall 2 Ultimate Edition for the Xbox One. 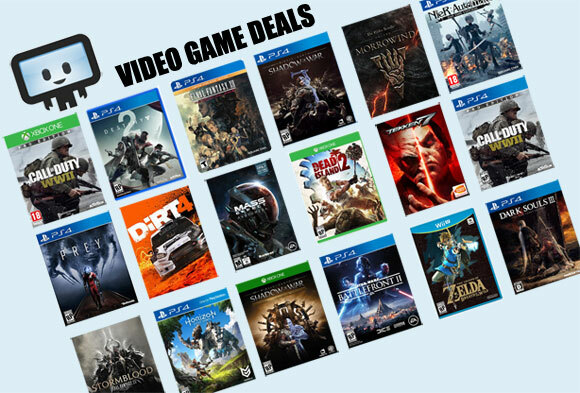 This includes all the content under the sun for the game at one low price. New historic low on Titanfall 2 Ultimate Edition for the Xbox One digital copy. This time there's no Gold Required to get this pricing. In our opinion, one of the must have title in anyone's gaming library - particularly if you enjoy a well developed FPS. Great price on the newly minted Titanfall 2 Ultimate Edition, which is essentially just the Deluxe Edition with the Jump Starter Pack. Given DLCs and content are all free, the price is of course now the same as the regular edition of Titanfall 2. But new gamers should still pick this edition as it'll make immediately unlock all Titans, Pilots, and include XP tokens so you can quickly catch up to current playerbase. One of the best FPS in 2016 and still a worthwhile pickup. The average price for this game since released is $40.32. The game first became 50% off on Jan 30, 2017 at Best Buy. Lowest historic price was $14.99 on Nov 5, 2017 at Best Buy. Deal is back on Titanfall 2 Deluxe on the Xbox One and PS4. Deluxe gets you a ton of extra customization options, like camo and warpaints you otherwise won't have access to buying the Standard Edition. The average price for this game since released is $34.60. The game first became 50% off on Dec 22, 2016 at Origin. Lowest historic price was $4.99 on Jun 18, 2018 at Origin. One of the few worthwhile game to pick up in Origin's Winter Sale is Titanfall 2 Ultimate Edition. Great multiplayer FPS gameplay and best of all, all DLCs and content have been free from the get-go. It's been slightly cheaper at $15 before, but anytime the game is under $20 we'd highly recommend it. Standard edition is also available for $10 as well. Cheapest Titanfall 2 spotted today at Amazon. Few months ago Origin dropped the price from $59.99 to $29.99. Now Amazon is running a 67% discount - a new low by $10. Origin has Titanfall 2 on sale for 50% off again coupled with a FREE weekend offer. If you're on the fence with this excellent title, give it a whirl this weekend to see what all the buzz is about. And so after the flurry of Titanfall 2 deal has ended... the only one remains is the PC digital copy at Origin store. Stack the 20% off coupon on the 33% off instant savings and you'll have the lowest price the digital copy has ever reached. Nice. Titanfall 2 hits a new low by about a buck on the PC Download today at GMG. With conosle deals to $32 today this is one of those rare moments when the best deal for console is cheaper than the best deal for the PC download. Titanfall 2 on the PC is now only $20 thanks to Best Buy's week long sale. The price is the same across all platform (and Titanfall 2 Deluxe, which is basically free upgrade online anyways). While console copies have been $20 for awhile now thanks to GameStop, this is the first time we spot the Windows/Origin copy for $20. Not too shabby. While a "physical boxed copy," included in box is the Origin product code. Stack with GCU and it's an even better deal. The average price for this game since released is $32.71. The game first became 50% off on Nov 24, 2016 at Amazon. Lowest historic price was $19.99 on Jul 9, 2017 at Best Buy. Kept missing a chance to pick up Titanfall 2 during all the various sale since before Black Friday? Here's another chance at Best Buy for $35. GCU members can take another 20% off to $28. Same discount on PS4/Xbox One copies (which are physical disk unlike this PC "DVD" copy). Walmart price robot working hard to be competitive. Titanfall 2 now new low of $27 for the PC DVD copy. Yeah you thought $33 was low? or $28? How about $27? Yeah whats up now boi. New low on the Titanfall 2 PC DVD physical copy at Amazon (honestly its just an Origin code inside). This beats out Origin.com's current deal, and finally matches Titanfall 2 on the PC to other platform's great price. PC gamers take note. Jealous of all those pre-Black Friday Titanfall 2 deals in the past few weeks? Best Buy now has all platforms for only $332.99. GCU stackable! Titanfall 2 Deluxe on PS4 and Xbox One dropping to $15 at Best Buy this week. GCU members gets an additional 20% off which cuts price down further to $12. Besides the base Titanfall 2 game, you'll get extra skins for guns, pilots and titans. As well as skins for Ion and Scorch. The average price for this game since released is $42.99. The game first became 50% off on Jan 30, 2017 at Best Buy. Lowest historic price was $14.99 on Nov 5, 2017 at Best Buy. Titanfall 2 Deluxe Edition physical copy $20 at GamStop today. Titanfall 2 Deluxe Edition download $80 at GameStop - a $50 price disparity. Free store pickup or free shipping for orders $25 or more with code SAVER. New low by $5 for this Deluxe Edition. Pre-owned copies of Titanfall 2 Standard Edition at GameStop are going for $37.50. Titanfall 2 Deluxe returns for $25. Stack on GCU discount and you're looking at $20 for one of the best co-op FPS title in the past year. Campaign is a bit on the short end but multiplayer will keep you engaged.